Ghangaria, in the Hills of Garhwal is the last destination or staying point before one visits the Natural wonder, The Valley of Flowers. The place has in its vicinity the most beautiful destinations in the area. 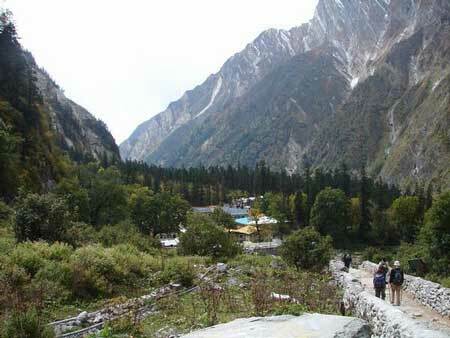 The Hemkund Sahib is on the steep hill nearby. Ghangaria is the place where one has to spend a night as; no one is allowed to stay in the valley of flowers, which is hardly 3 kms away from Ghangaria.